Make way for the hottest couple of the year! 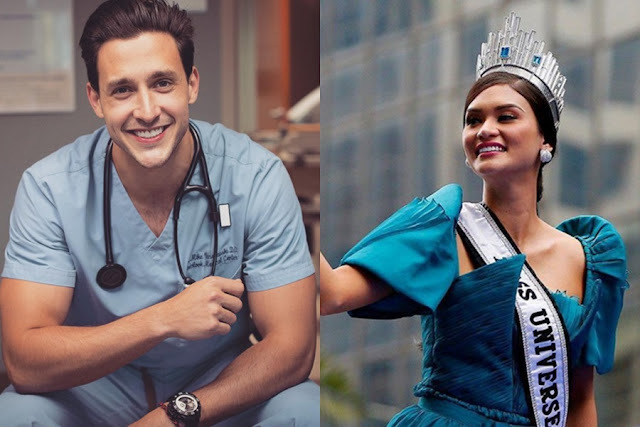 Miss Universe 2015 Pia Wurtzbach is currently dating People magazine’s “Sexiest Doctor Alive”, Dr. Mikhail Varshavski or better known as Doctor Mike, who is also referred to as the real-life McDreamy by his fans! The handsome Russian doctor confirmed the news to Wonderwall and admitted to dating the Filipino beauty queen. “I am dating Pia. It's a fairly new relationship, but I'm really excited to see where it can go!” he said. Earlier in March, Pia denied she was dating anyone and stated that her Miss Universe duties remain her top priority. Pia won her Miss Universe title in one of the most awkward and shocking live television moments in history, as host Steve Harvey mistakenly read the wrong name and initially gave the crown to Miss Colombia Ariadna Gutiérrez before admitting his mix-up. Pia is also the most followed Miss Universe ever, with over 2 million followers on Instagram.